Feeling like Superwoman today! 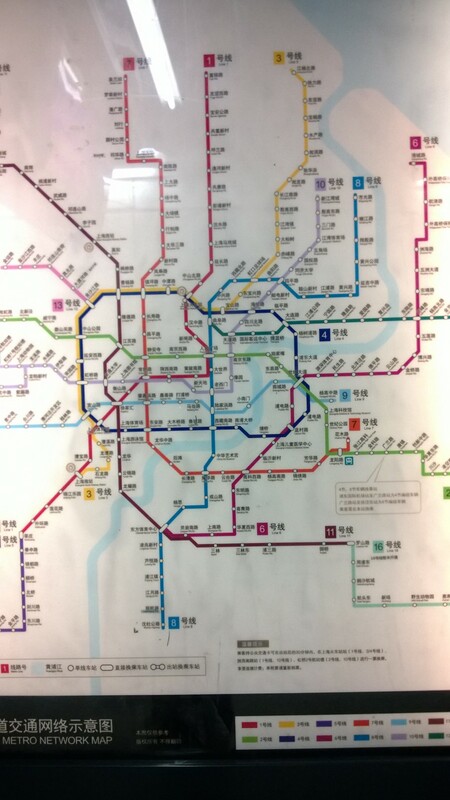 I got to work via Shanghai Subway all by myself. Well, not technically all by myself because I was joined by several million of my fellow citizens doing their commute as well. At first, going down into the subway on the empty staircase, I was thinking I had beat the rush and this would be a piece of cake. Lulled into a false sense of security, I was then assaulted by just a few of the 25 million people who also happen to live in Shanghai. Boldly ignoring the officials signaling me to put my purse/backpack through the security scanner (no one pays them any attention so neither do I), I then proceeded to follow the masses into the bowels of humanity. Lining up to get on the train as it arrives, you pray that someone, really anyone, is getting off at your stop so that there is room for you to get on. This worked 2 out of 3 times but one time there was not a fraction of room so I waited for the next train, where I could find a pocket of space to shove my body into. 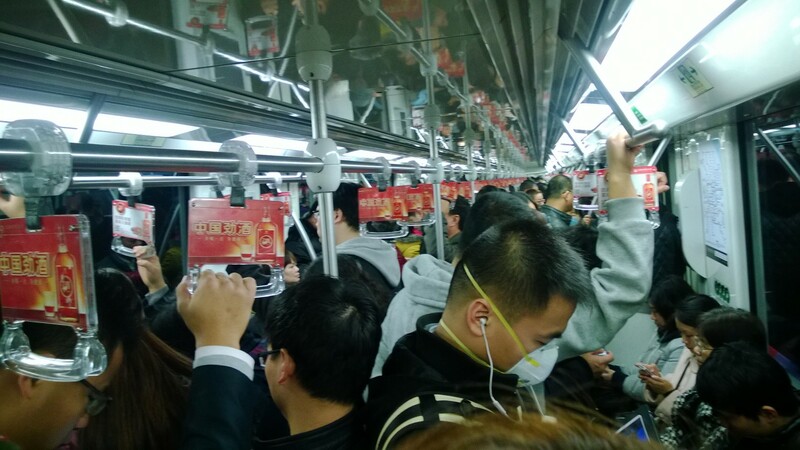 Riding the Shanghai subway is a full-on contact sport—using your upper body to block and elbows to jab, you must use brute strength to gain a space on the train. Having worked in NYC Times Square, I have some experience with these types of crowds so I wasn’t too intimidated but still…. Several locals smiled when they saw the crazy female Laowai on their train so at least I brought some levity to their morning chaotic commute. I’m glad I can do my own thing even though it defies the norms for ex pat behavior. Surprisingly with this heavy traffic use, the subway is very clean and al l signs and announcements are in English as well as Chinese so it is not hard to use. It is super cheap at 50 cents US$ for my trip vs. $3 US for a taxi. To get to my office from home, I have to take three different trains which means lots of stairs as you have to go up and down to transfer. At least I don’t have to go to the gym tonight or at least that’s what I’m telling myself. No one but me took the stairs, everyone else preferring to crowd onto the escalators. All told, it takes about 45 minutes for the commute. I may not take the subway all the time but it is very empowering to know how to use it and be able to get around town by myself. After conquering the subway, who knows what I will tackle next! I said it before – you rock.